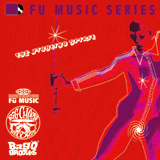 Great jazz funk issue, by famous 70's french combo "Cortex"! Exist a ultra limited LP edition only for the japanese market. Recorded in '79, but pressed in 2006 by Underdog Records. 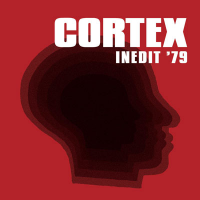 Unrealised seventies stuff propulsed by Alain Mion and Alain Gandolfi, lead members of "Cortex". Lost & last funky work, jazzy rhythms and plenty of top keyboard work in a more soul, & sweet vocals, with English language, in the vein of "Kudu" or "Fantasy" Records. Some great uptempo clubby feelings & jazzy hot funk for the dancefloor !!!! Recorded in 1979 in the Cortex's personal studio (Noisement, France) on a Scully tape recorder 8 tracks, 2 inches. *All Keyboards used in the Album: Fender Rhodes, Piano, Yamaha CP 70, Wurlitzer, Hammond organ, Korg 700 S, Solina String Ensemble, Prodigy Moog, Hohner D6 Clavinet, Micro Moog, Prophet, Elka Rhapsody.